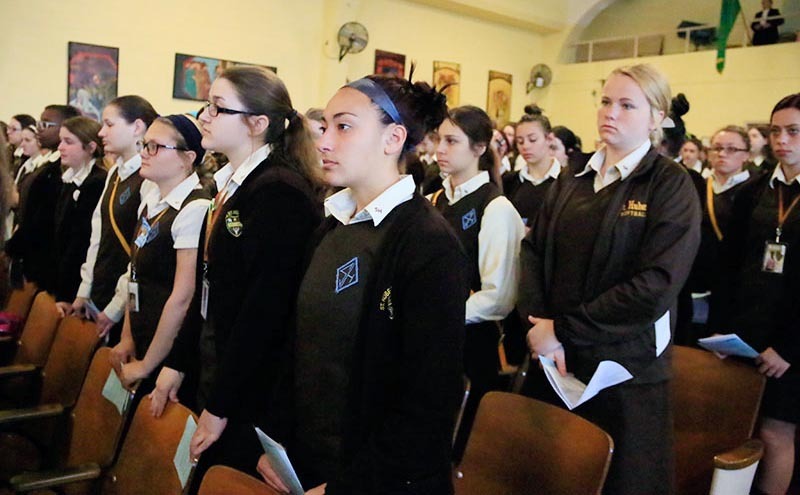 Bishop John McIntyre celebrates Mass at St. Hubert’s High School in Northeast Philadelphia. 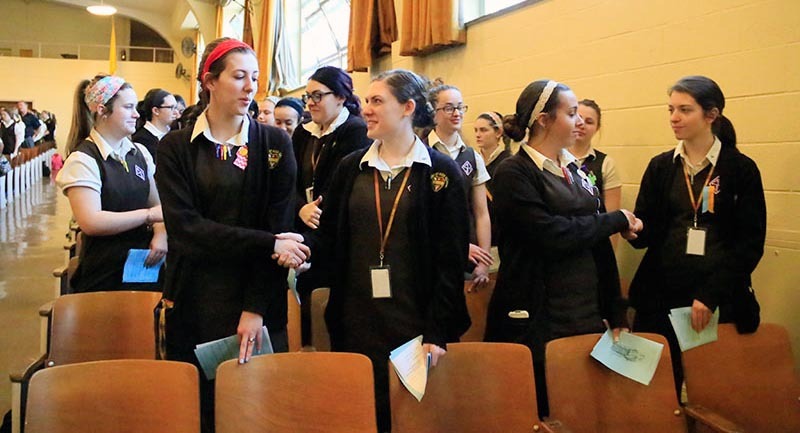 Amanda Nolter (left) and fellow juniors offer one another a sign of peace at Mass. 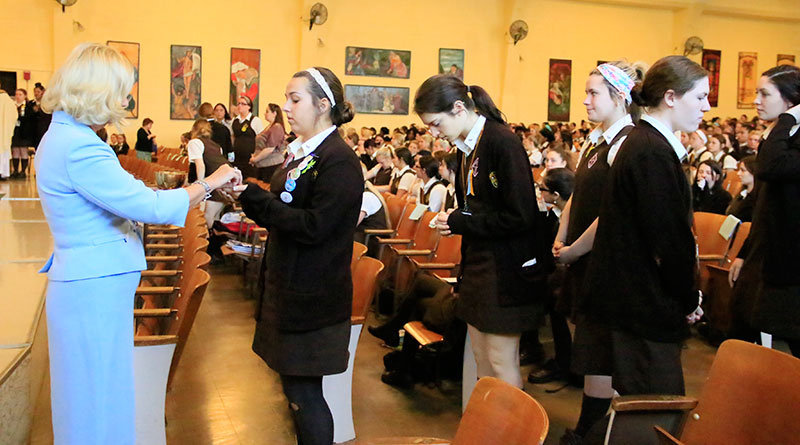 Joanne Walls, principal of St. Hubert’s, distributes holy Communion during Mass. 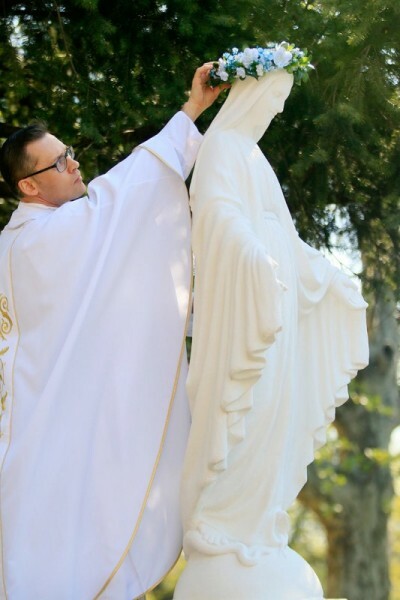 Father Ronald Check, school minister and member of the former All Saints Parish from which the statue was received, crowns Mary. 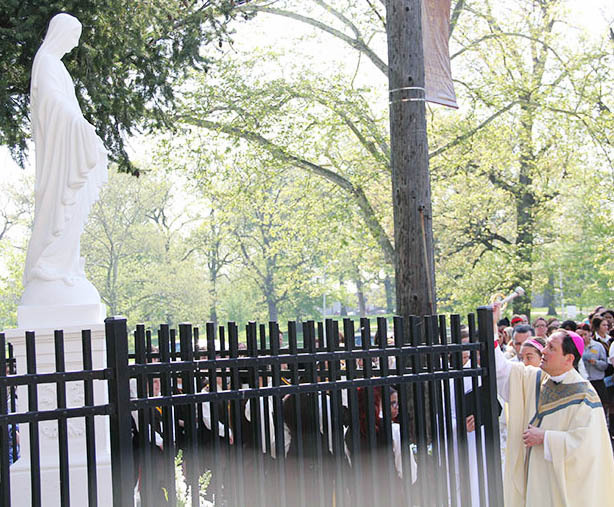 The school community and guests gather around the statue of Our Lady of the Highways for the dedication. 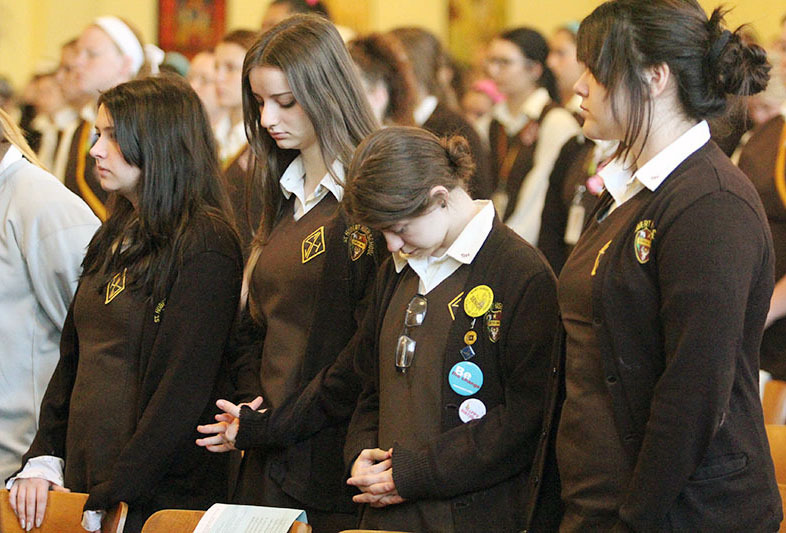 Seniors (from left) Stephanie Nilsen, Esmerelda Prifti, Jessica Miller and Jennifer Ralston pray during Mass. 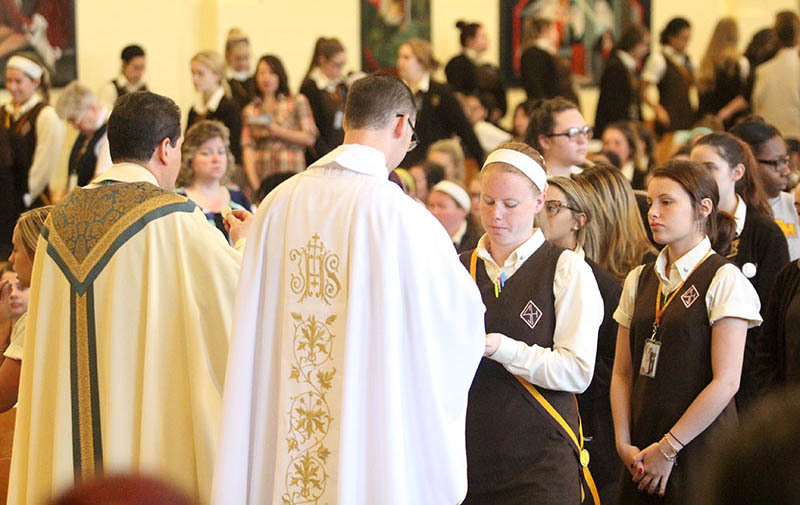 Father Check distributes Communion to junior Liz Schule. 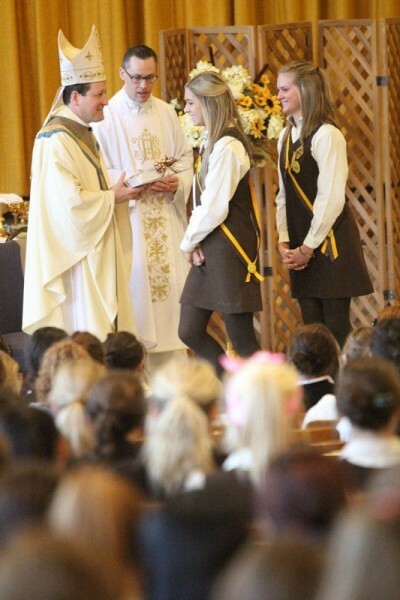 Members of the St. Hubert student council present Bishop John McIntyre (left) with gifts during his visit to the school and dedication of the statue of Mary May 4. 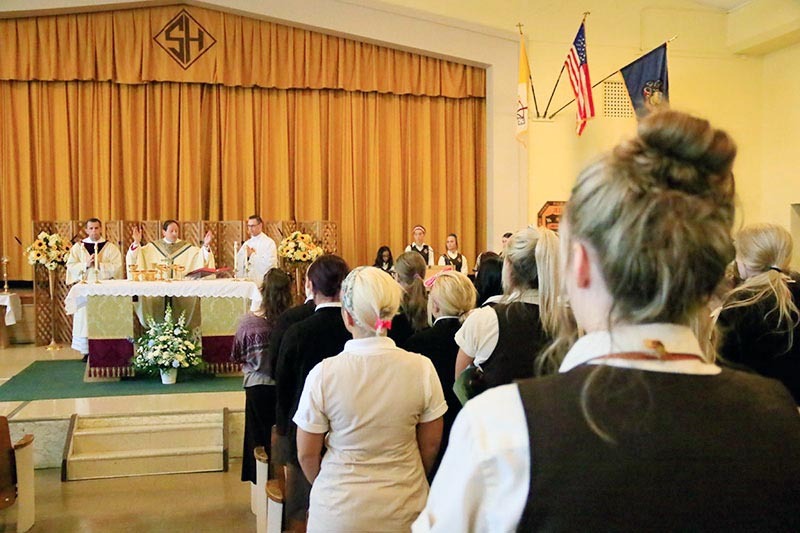 School minister Father Ronald Check stands at center. 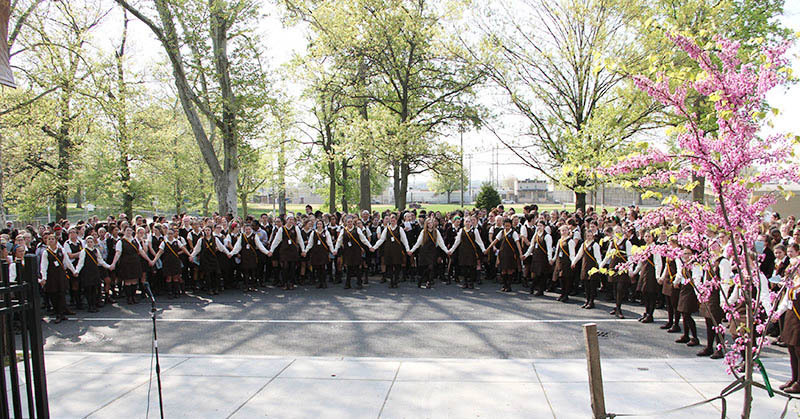 Students form a circle of prayer on Torresdale Avenue, which was closed, for the blessing. 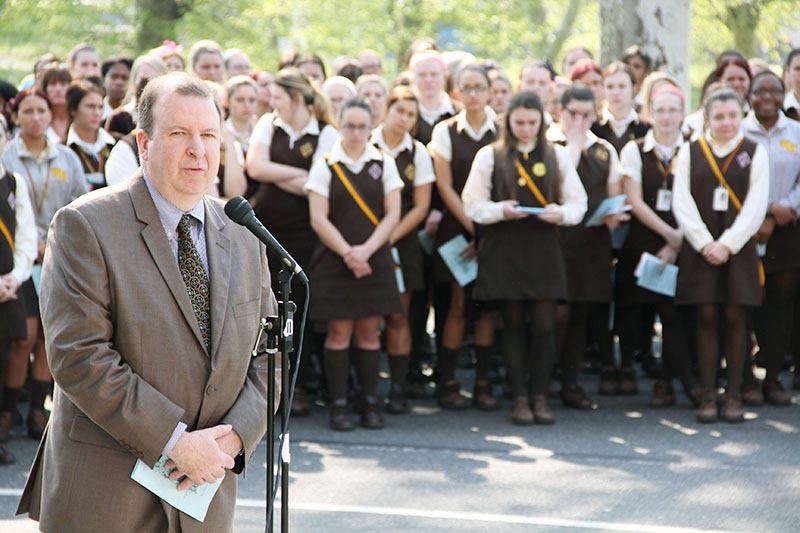 Francis Farrell, St. Hubert’s president. 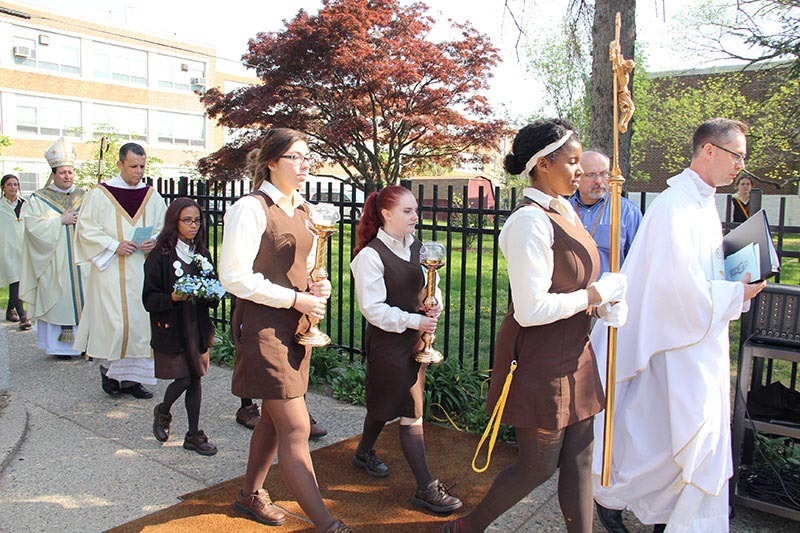 After Mass, students lead the entire school community in procession to the front of the school where Bishop McIntyre blessed the Our Lady of the Highways statue. Bishop McIntyre blesses the statue that was relocated from the former All Saints Parish, closed in 2013, to St. Hubert’s. 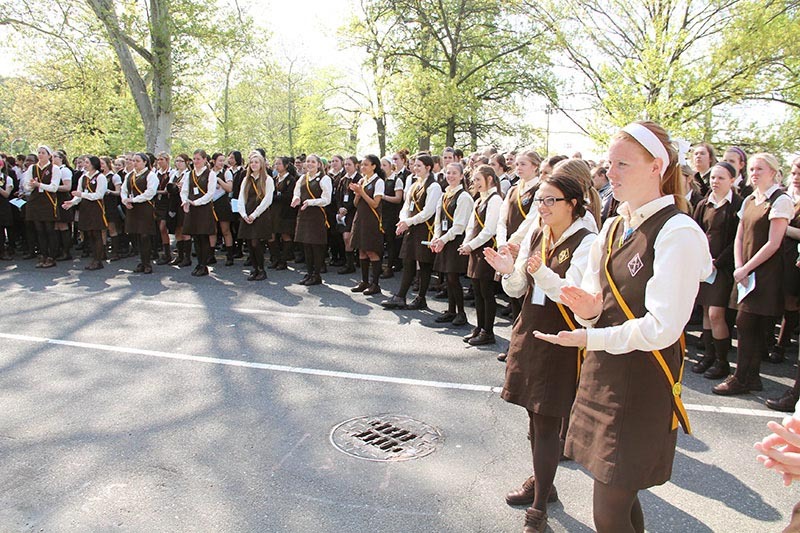 Junior Liz Schule (right) and fellow students council members applaud the crowning. 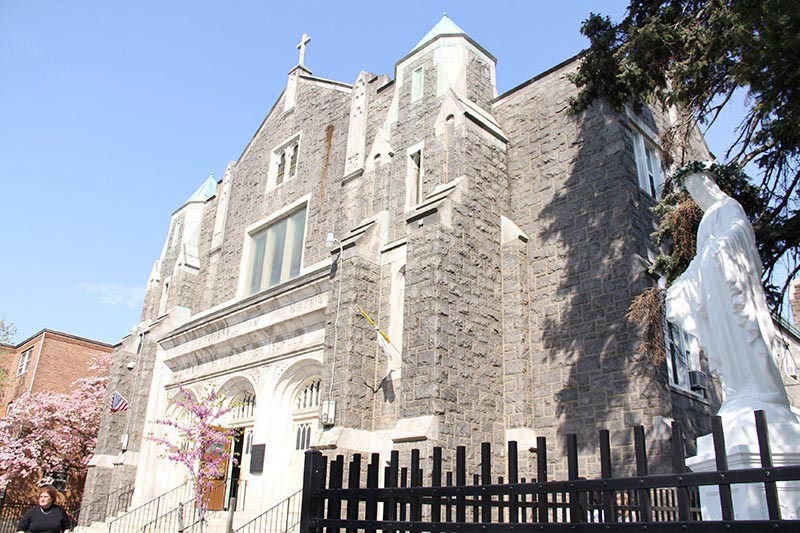 St. Hubert Catholic Girls’ High School on Torresdale Avenue in Northeast Philadelphia.